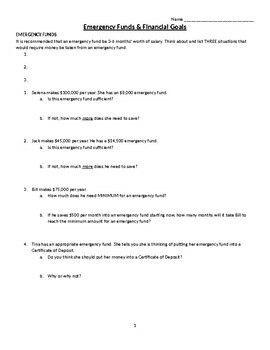 In this activity, students will determine if various people heave large enough emergency funds. 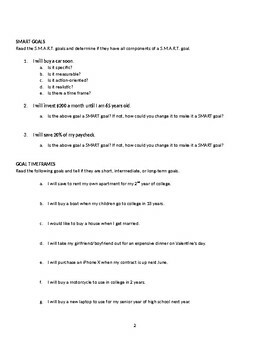 Then determine if goals meet all the requirements to be "S.M.A.R.T." and what time-frames they fall under.